The Touareg is the Volkswagen flagship crossover – and with good reason. This impressive off-roader hasn’t seen much changes to its design in the 15 years it’s been on the market. Volkswagen has had fun with the trims they offer, meaning that there are tons more features available as standard. Other than that, this vehicle remains the same classy mid-size SUV that drivers have been used to for the last decade and a half. There are three trims available to choose. 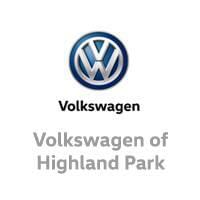 They’ve been named ‘Sport with Technology’, ‘Wolfsburg’, and ‘Executive’. All three are powered by a 280-horsepower direct-injected 3.6-liter V-6 engine with 266 pound-feet of torque. The engine is paired with an eight-speed automatic gearing system that has a manual-shifting mode. All-wheel drive comes as standard. You’ll get from 0 to 60 mph in 7.8 seconds and be able to make 17 miles per gallon in the city and 23 miles per gallon on the freeway. The Touareg has always been a refined vehicle and the interiors are still outfitted with premium materials, comfortable seats, and simple-to-use controls. You’ll get 32.1 cubic feet of cargo space in the trunk, which doubles if you fold down the back passenger seats. The V-6 engine has enough to help you navigate around the streets with ease, plus you’ll be able to tow 7,716 pounds, which is something no other mid-size SUV can match. Volkswagen has dropped its base trim ‘Sport’ from the line-up, which means motorists have a lot more useful features available as standard. Safety features could come in particularly handy. You’ll have access to adaptive cruise control, forward-collision warning, blind spot warning, and automated emergency braking whatever trim you choose. A heated steering wheel comes and dual-zone climate control comes as standard too, so you’re pretty much set to have an enjoyable ride every time you step in the car. 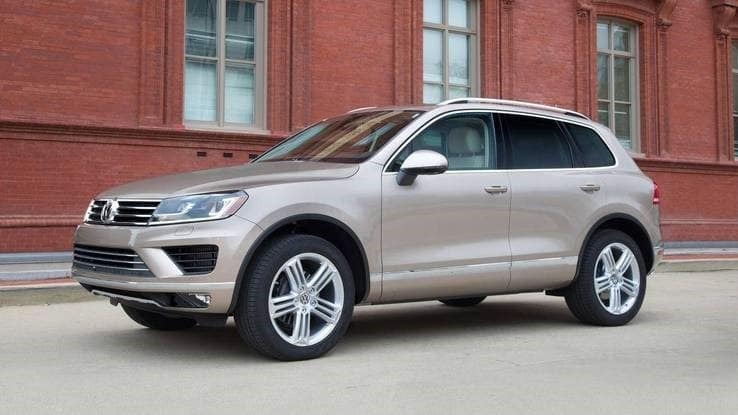 If you want to take a test-drive of the Volkswagen Touareg in Highland Park, Illinois, you can do so by getting in touch with the team at Muller Volkswagen today.